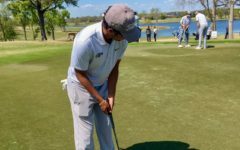 Senior point guard Josh Davis defends Dillian Walker, No. 32, as his teamate sets a screen. 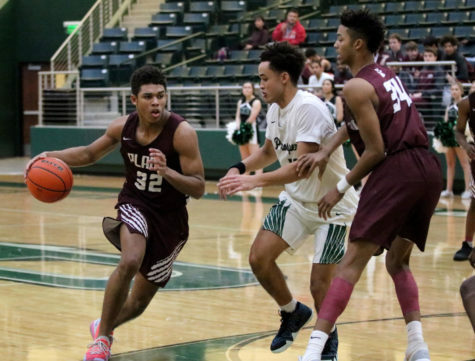 Davis and the Eagles were able to hold off the Wildcat offense in a 57-53 victory. 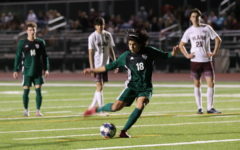 Prosper will face McKinney and Plano East this upcoming week in district games. 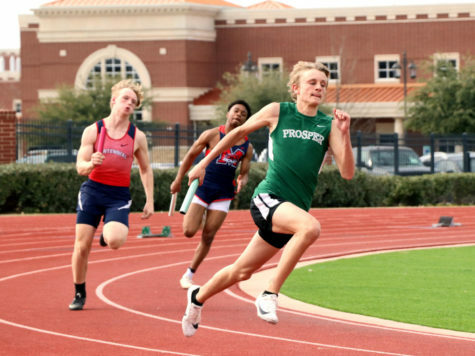 Sophomore Luke Chancey, No. 33, and Junior Buddy Price, No. 3, attempt to block the Wildcats from scoring in the second quarter. 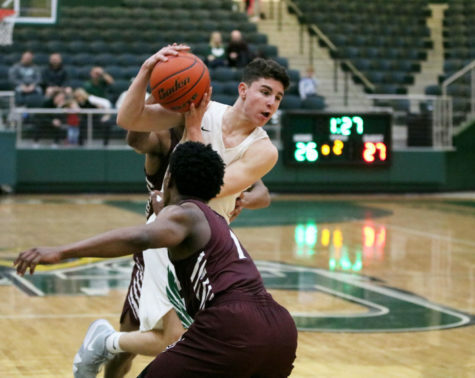 The Eagles will face off Against McKinney High school Tuesday, Jan. 13, at home. Junior Ammon Allen looks to drive past several Plano defenders. 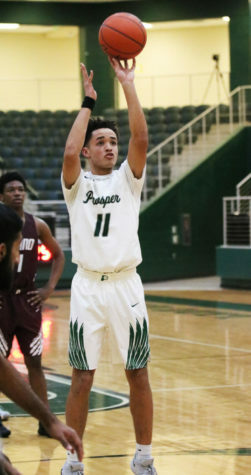 Prosper took the 57-53 win in the district game against the Wildcats. The Eagles now have a 15-10 overall record. Senior point guard Josh Davis takes a free throw during the game. Davis earned 18 points in the game as the scoring leader. 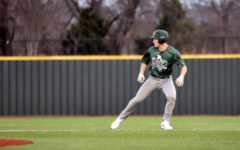 He also claimed three steals in the Jan. 2 game against the McKinney Boyd Broncos. 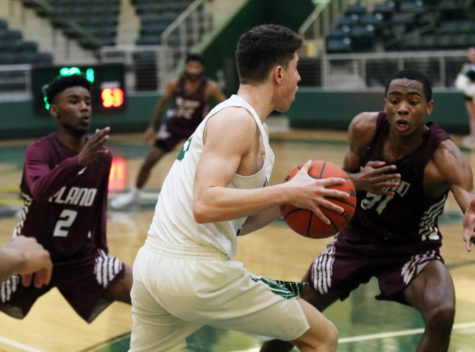 Junior Ammon Allen looks to drive against the Wildcats at the second half of the game. 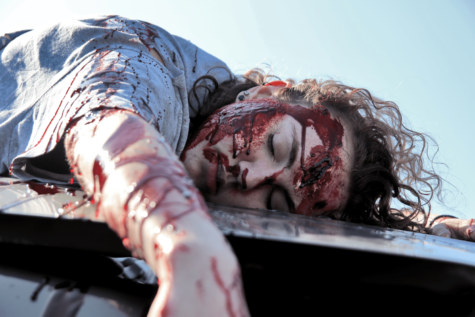 The defense from Plano Senior High was Zychari Crayton on the left, No. 2, and Bryce Bristow on the right, No. 31. 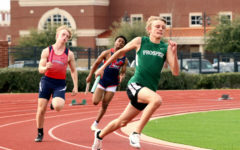 This is Allen’s first year at Prosper to play for the Eagles. 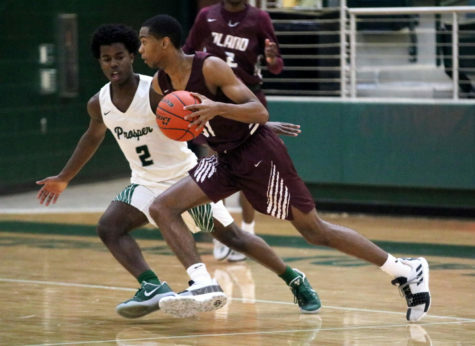 Senior point guard Josh Davis defends Dillian Walker, No. 32, as his teammate sets a screen. 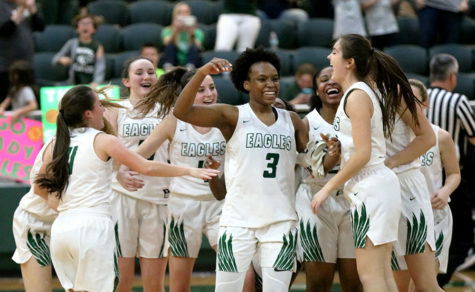 Davis and the Eagles were able to hold off the Wildcat offense in a 57-53 victory. 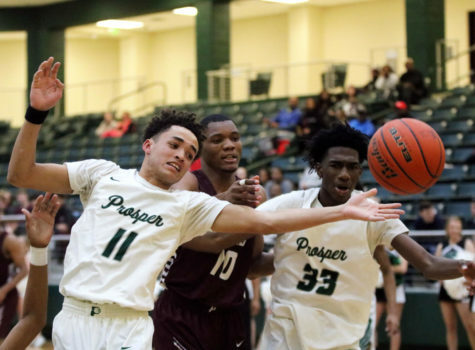 Prosper will face McKinney and Plano East this upcoming week in district games. Sophomore Grant Shaw, No.2, attempts to block junior Bryce Bristow, No.31, from scoring. 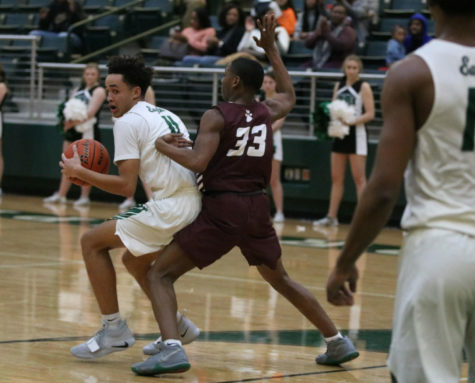 The Eagles defeated the Wildcats 57-53. 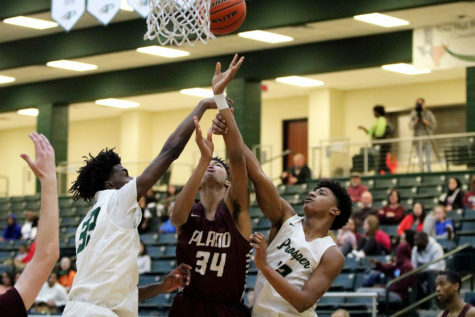 The boys’ next home game is Tuesday, Jan. 15, against McKinney High School. Senior Josh Davis, No.11, looks to dive against the Wildcats in the first quarter. Defensive player Billie Burns, No.33, failed to successfully block Davis from scoring. The team’s overall record this season is now 15-10.